Since 2013, improving economic conditions in the housing market area have led to increased net in-migration, averaging 24,800 people annually, and the Beaverton-Hillsboro submarket comprises 28% of the total. 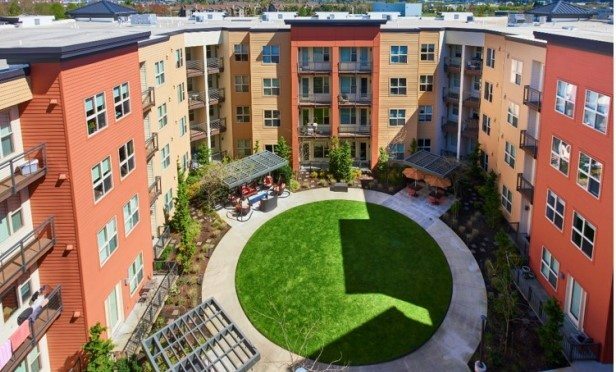 Tessera at Orenco Station, a 304-unit multifamily property, was purchased for $85 million. HILLSBORO, OR—Since 2013, improving economic conditions in the housing market area have led to increased net in-migration, averaging 24,800 people annually, with the Portland, Beaverton-Hillsboro and Vancouver submarkets comprising 47, 28 and 25% of the housing market area total, respectively. Population growth in the Beaverton-Hillsboro submarket is anticipated to continue at the same rate, gaining 9,975 people or 1.4%, a year, reaching 713,300 people by the end of the three-year forecast period or approximately next year, according to the US Department of Housing and Urban Development.